Il Tempo dell’Affetto ‘s next concert is coming on 2nd April Tuesday ! from 13:00-14:00, free of Charge! The program is all about French Baroque Chamber Music. 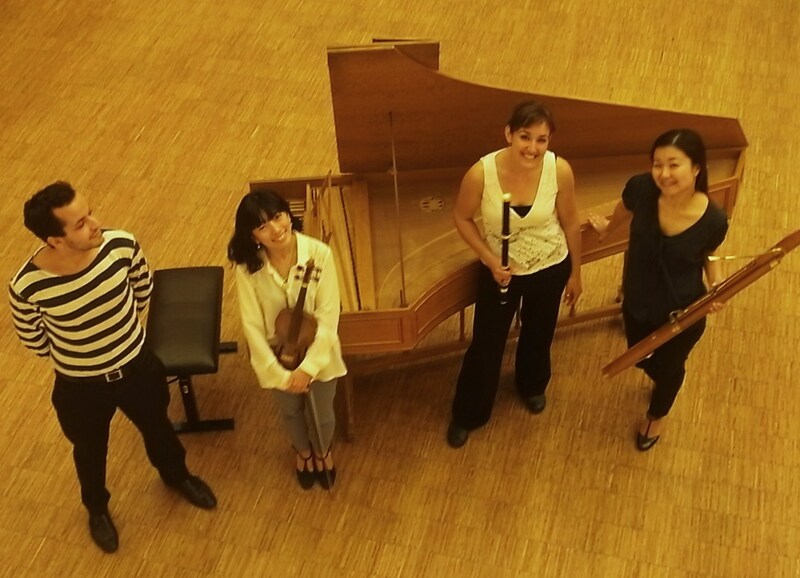 We especially focus on François Couperin (grand Couperin)’s master wrok <Les Nation>in this program and put our own instrument arrangement for this trio! is established by five young, promising musicians since 2012, who met each other during their study in Conservatorium van Amsterdam. The combination of flute traverse/á bec, baroque oboe, baroque violin, baroque bassoon and harpsichord create boundless color on sound and transformative possibilities in the realm of 17th and 18th century repertoire. 20th January 2013, -15:00-17:00 at Schuilkerk in Krommenie! Here is our accomplished program. First half, we introduce “musique de chambre” written for the LoisXIV’s court in 18th century in France. You will find quite some influence from Italy in Couperin trio and Rebel’s dance suite, but it is combined well with full of french ‘esprit’! We made special arrangement for our unique instruments combination! Second half is focused on Telemann and C.P.E.Bach, both important for establishment of galant style in 18th century Germany influenced after french Rococo. On Telemann’s famous ’Quatour’ from Tafelmusik, you will find how he was genius to bring out each character of instruments and harmonized them into one. Special guest player; Gudrun Waldek as Oboe!! 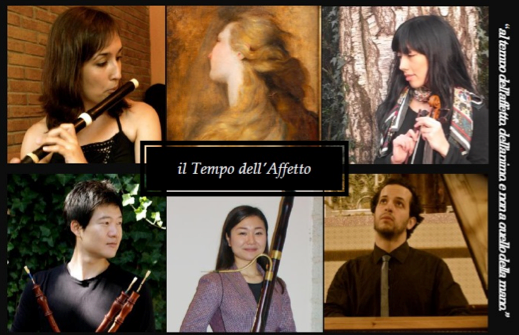 This newly established chamber music ensemble, Il Tempo dell’Affetto, combines flute traverse/a béc, baroque violin, baroque bassoon and harpsichord into boundless instrumental colors and transformative possibilities in the realm of 17th and 18th century repertoire. The name of the group derives from Monteverdi’s pivotal masterpiece ‘Lamento della Ninfa’, a madrigal, for which the composer demands “al tempo dell’affetto, dell’animo, e non a quello della mano.” The performer thus required to sing in “tempo of affect, of soul and not the one of a hand”. Such a strong declaration represents a breakthrough for the new music style of this period, following not rigorous formality but natural affect of humans. The aim, therefore, of this group to perform with vigorous Energy, Passion and Sincerity which are deeply based on Clear and Keen interpretation of historical performance which must move the audience’s passion as well. The members met during their studies in Conservatorium in Amsterdam, and are currently based in Amsterdam and Utrecht. Hope to see many of you in our concerts! We will shake your soul!